The celebration was long overdue -- 35 years, to be exact -- since the Cougars have made this trip. 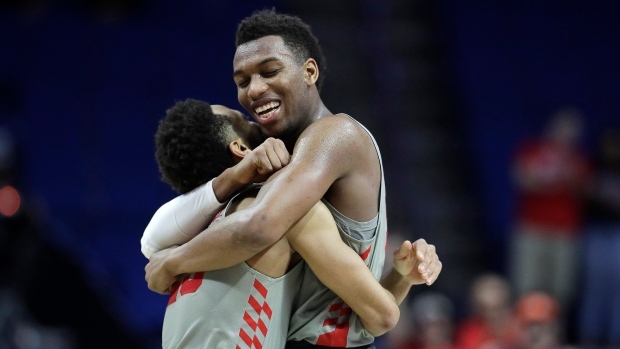 Corey Davis scored 21 points to help Houston defeat Ohio State 74-59 in a second-round Midwest Region game Sunday night. It marked the Cougars' 33rd win of the season -- breaking the record set by the 1983-84 team for the most wins in a season. That squad was the last to reach the Sweet 16 and advanced to the national final.